Giveaway Time! Fleece Throw: ENDED | Super Stay At Home Mommy! All right everybody, it’s giveaway time!! The winner will receive one 54″x54″ fleece throw, customized to their liking– you tell me what colors/design you’d like, and we’ll go from there to make you exactly what you want! A $40 value! 3) For every 3 friends you refer to SuperStayAtHomeMommy, you will receive another entry in the giveaway. Simply have them follow my blog, and then comment below who sent them here! How easy is that? 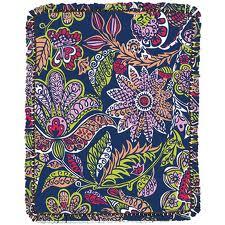 You’re on your to winning a beautiful fleece throw! Perfect for curling up on the couch with, or an blanket for a kid’s bedroom! Giveaway ends Tuesday, April 10, 2012. Winner will be chosen via Random.org at/around 12pm MST. Giveaway is only for US citizens. Cool..I love the Ideas you put up. I’m following your blog, and I’d like to enter for the free giveaway! I am following your blog and would love to be entered in the giveaway! I follow you in RSS! This would be AMAZING to win!! I am a new follower. I follow your blog. Thank you for the chance to win!